Having a swimming pool in your home is the American Dream. Who wouldn’t want to take a dip after a long summer’s day at work? Or spend a Sunday afternoon with family lounging by the water? Owning a pool, however, comes with a certain set of responsibilities. 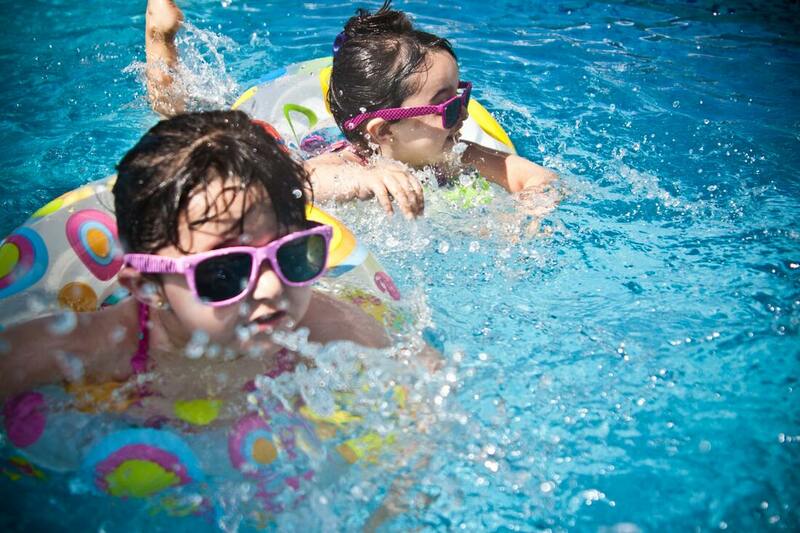 Regular pool maintenance will ensure both your family’s safety as well as the long-term quality of the pool. If you already own a pool then you probably know how much work is involved when it comes to cleanups and general maintenance. You have worked hard enough, so you deserve to rest and enjoy the fruits of your labor. Instead of spending your free time skimming, vacuuming or dealing with nasty pool chemicals, simply hire a professional pool cleaning service. That’s where Chandler Pool Service and Repair comes to the rescue! Whether you need us to get your pool from green to blue again or you just want us to maintain that clear sparkling pool water that you and your family love to jump into, Chandler Pool Service and Repair is at your service. At Chandler Pool Service and Repair, it is our life’s mission to provide our clients with the most reliable and professional cleaning service. We are committed to offering a comprehensive service that will bring your pool from the brink and return it to a sparkling oasis that you will love. Our primary goal is to make sure that your swimming pool operates at its peak. Don’t let your pool go another summer underutilized. We strive to ensure that your pool does look not only look gorgeous but also that it’s safe for you to enjoy every minute. Having been in the business for many years, our crew knows how to convert your pool into a safe, clean, and elegant place for you and your family. Whether you own a pool for fitness or entertainment, Chandler Pool Service and Repair is here for you. From weekly cleanups to seasonal support, we are prepared to do what it takes to make your pool nothing short of exquisite. We offer an extensive cleaning service from manual vacuuming, after storm cleanups, and major cleanup to remove green algae. To keep your pool looking pristine all season long, we offer weekly or monthly pool cleaning without a long-term contract. Our staff is professional and knowledgeable and our service is affordable. You can count on Chandler Pool Service and Repair to get your pool looking and running as it should! advice to keep your pool running optimally. Our customer service is ready to answer all your questions promptly. Once you contact us, we will send one of our staff to your premises within 24 hours. After the assessment, you are provided with a quote for the repairs. Once this process is complete, we will complete the repairs/ renovations within three days to ensure that you can enjoy your pool once again in no time. When you need any kind of pool service, we are only a phone call away. As soon as we get your call, we will schedule a service at your convenience. We live and work in Chandler and are dedicated to our ethical practice standards. For this reason, we have equipped our staff with unique training programs and acquired all the certifications requirements in the State of Arizona. To ensure a 100 percent customer satisfaction, our employees have undergone comprehensive background checks. Additionally, we have insured our company and employees to ensure reliability. If the steep prices are your main concern when it comes to hiring pool services, this doesn’t have to be a limitation with Chandler Pool Service and Repair. We are proud to offer you the best prices in town. From weekly cleanups to complex repair services, we offer competitive rates to suit any budget. Once you schedule an appointment, we will give you our expert opinion and a free custom quote. Whether you want a one time repair or a weekly cleanup service, we got your back. With our highly skilled staff, we are fully capable of all pool aspects. We also do all the maintenance and cleanups without subcontracting another company. Coming from a humble background, we understand the importance of excellent customer service. We are always focused on ensuring that we meet every client’s needs to ensure a wonderful experience. We also strive in improving our services every day by coming up with new innovative ways to boost our client’s experience. With all-day customer service, you can schedule, reschedule, or cancel the services by simply giving us a call. Chandler Pool Service and Repair is committed to building a friendly and long lasting relationship with our customers. Our experienced technicians pride themselves on offering the best in class service promptly to meet all your needs. What’s more, all our work is a 100 percent satisfaction guaranteed! We won’t leave your pool until you are happy with our service!